Here are some excellent seating products from Flexsteel, a leading designer and manufacturer of chairs, sofas, loveseats and sectionals. They construct furniture with care and precision. And they build all products — including those below — to last for years to come. 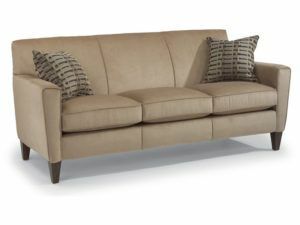 The Dana Sofa is stylish and comfortable. Its modest style is a great option for smaller spaces. 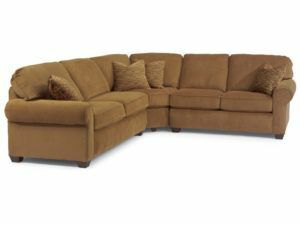 Make the Dempsey Sectional the centerpiece of your living room. Its sleek lines offer a well-crafted contemporary piece of furniture that can be customized to fit your needs. The Digby Sofa’s sleek lines will compliment any decor. It is handcrafted with solid wood and provides both comfort and style for all of your living needs. 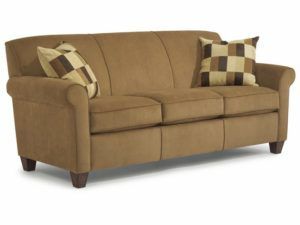 The Huron Power Reclining Sofa is the perfect sofa for relaxing and enjoying time with family and friends. 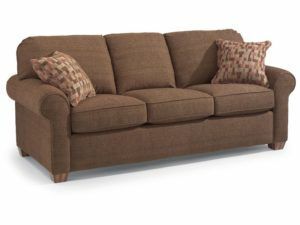 The Thronton Sectional is plush with plenty of room for the entire family. It is well-crafted and can be customized to fit your needs. 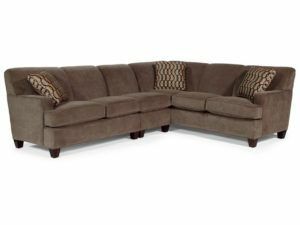 The Thronton Sofa is plush and will compliment any decor. It is well-crafted and can be customized to fit your needs. Brandenberry Amish Furniture is proud to offer Flexsteel products. And the furniture designers included a number of customer-friendly features. 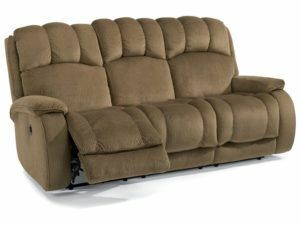 Like attached back cushions and attached high-density seat cushions for added comfort. Also, the sofas come with a close-to-the-wall proximity feature. You can recline in any position with the sofa positioned only six inches from the wall. Also, thanks to the power mechanisms, you can smoothly recline to any position with the touch of a button. What’s more, removable backs make it easy to lift and maneuver your sofas through doorways. And you can customize the entire collection with modern fabric selections and custom options.